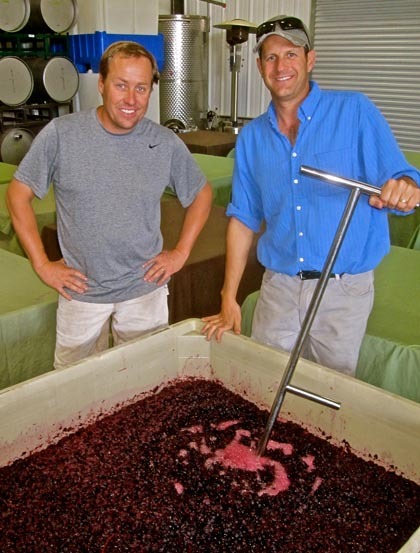 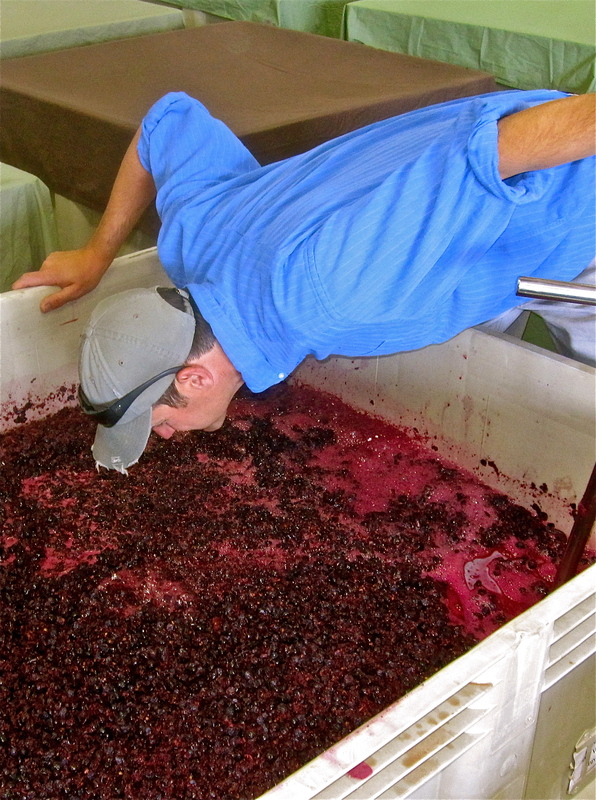 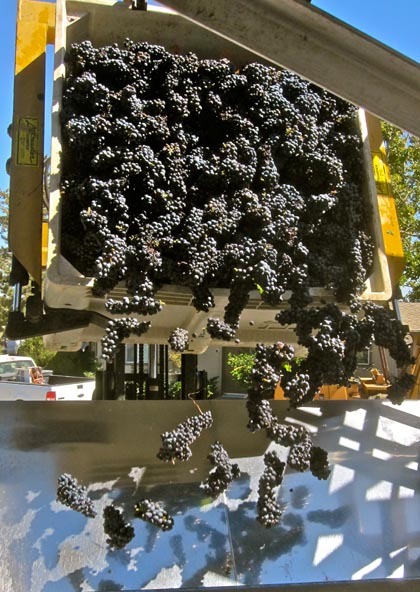 Lodi Wine Commission - Blog - Will 2010 be Lodi’s best vintage ever? 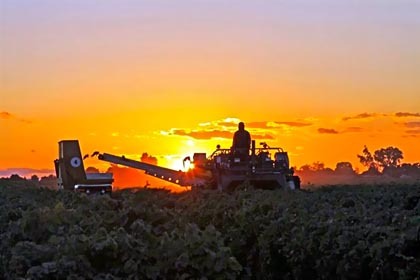 Over the past two weeks the night harvesters in Lodi have been busy while you’ve lain in bed dreaming. White wine grapes have pretty much come off the vine; and at this date, red wine grapes from the warmer sites (generally on Lodi’s eastern side) have started to trickle in, although most of the latter will probably be picked between now and the first week of October. You may have heard of the challenging conditions on California’s North Coast; sluggishly ripening grapes beset by cold weather, followed by alarming late August temperature spikes of up to 110° F., which can basically pan fry or oven roast thinner skinned grapes like Zinfandel and Pinot Noir. Rest-assured, the vintners in Napa Valley, Sonoma and Mendocino will find some way to make terrific wine with what they have. 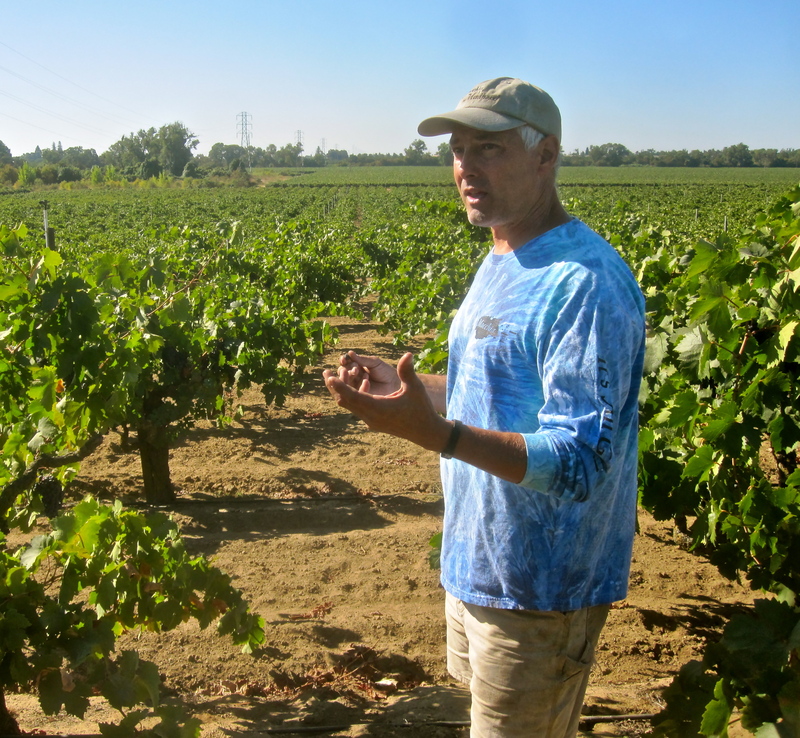 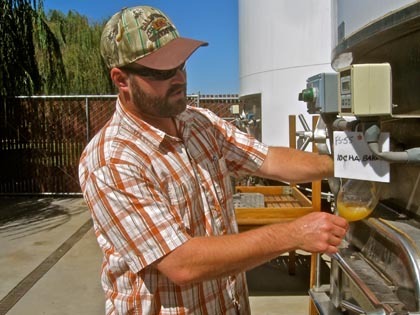 But in Lodi, the more temperate, evenly distributed Delta climate has been making for easier pickings. 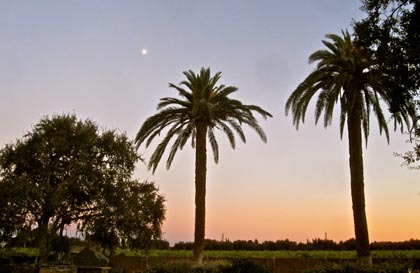 In fact, according to some of Lodi’s best, quite possibly the “best vintage” in recent memory for the region! 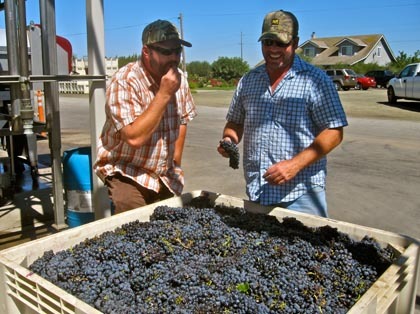 On the opposite end of the production scale from Macchia Wines is Woodbridge Winery (6 million cases, as opposed to Macchia’s 10,000 cases produced yearly), where we sat down this past Tuesday with Director of Winemaking, Todd Ziemann, a fourth generation Lodi native who probably manages or contracts more vineyards in area than anyone else. 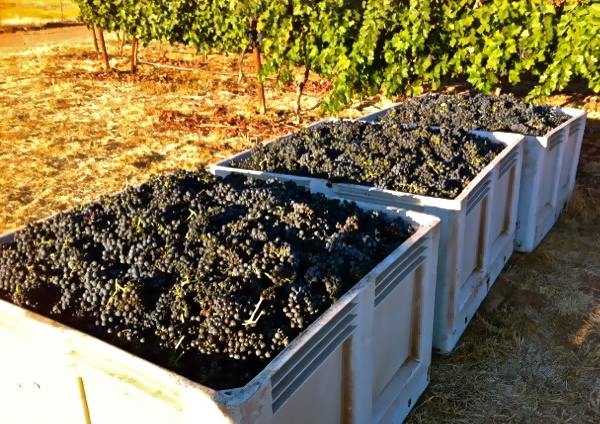 Ziemann told us that “across the board the whites from Lodi are looking great this year. 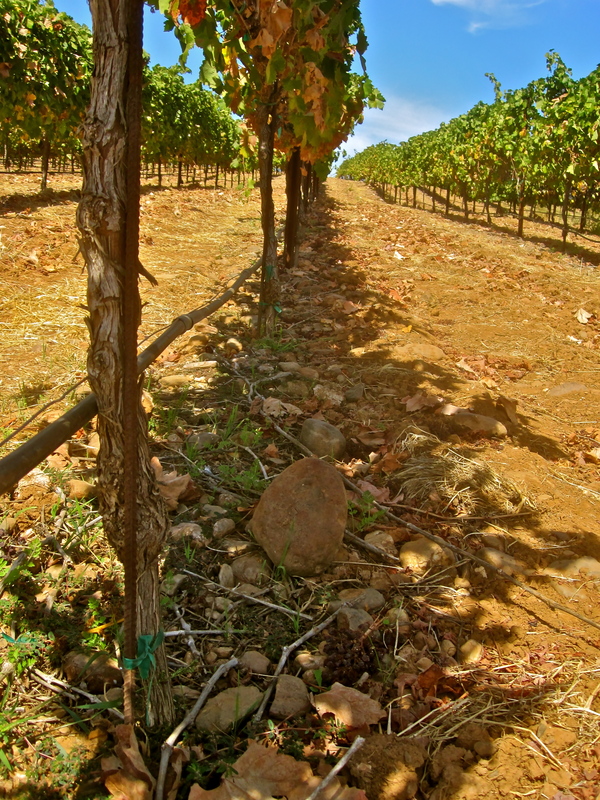 Our Sauvignon Blancs are fantastic, and Chardonnay just as good. 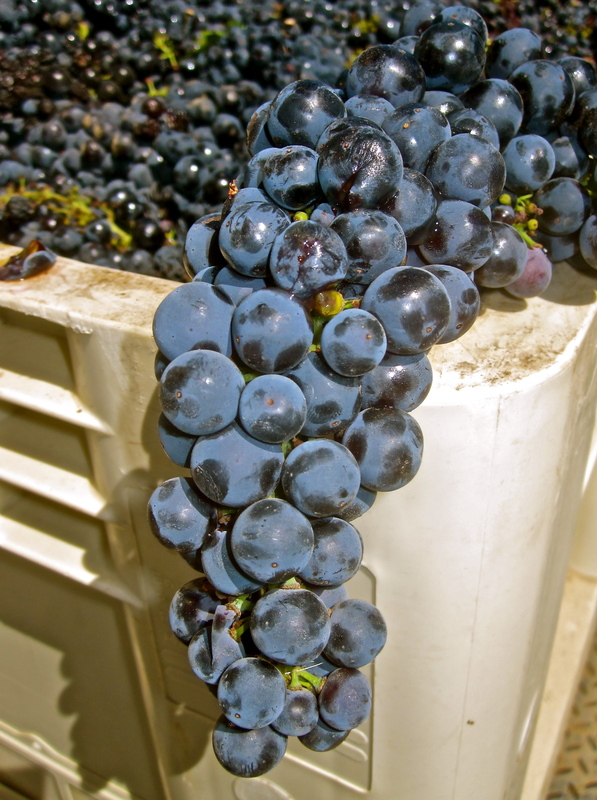 “The cooler weather has allowed for optimal ripening of flavor components. We didn’t experience the usual summer heat spikes (i.e. 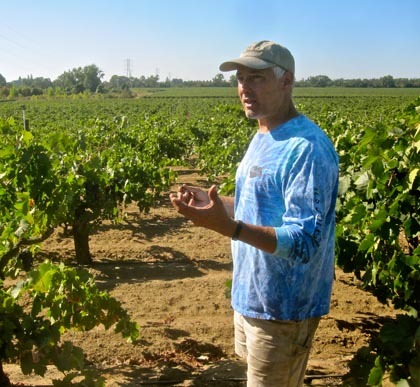 95°+ degree weather), which is when vines shut down and flavor development stalls. The story of 2010 so far has been good, steady maturation. We’re behind our average year by about ten days in Brix levels. But overall, intensity is higher than in ’09 and ’08, the fruit very clean and compact, acids generally higher.